If you've ever felt bereft and heartbroken after the death of a cherished animal companion, Sonya Fitzpatrick's latest book, There Are No Sad Dogs in Heaven, is for you. Based on her actual consultations with people whose pets have passed into spirit, Sonya's stories are tinged more with compassion and hope than with sadness. Like many communicators, she talks telepathically with animals in spirit, and because she recounts their thoughts with uncommon clarity and respect, we eagerly believe every word she says. "People think they need to apologize when they lose an animal. But. . .animals love their humans no matter what, and there's never any need to apologize. . .Even when an animal's death seems premature, it has come for a reason, at the proper time for the soul that is leaving its body. It's we who are left saying, 'He died too soon,' but for the one who is crossing over, it is never too soon." 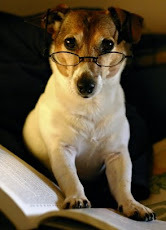 On the subject of reincarnation, Sonya wisely counsels her clients that she can't always tell them whether their animals will come back, or when. Sometimes, she can only say that "they will be with you in this lifetime." Or not. "Many times, when there is a death of the physical form, animals will use one of the dogs they have lived with to experience living in the physical form again. When that happens, you'll see many similarities between the dog that has passed over and the one that is still living." "What I want everyone to know is that our animals are always happy in the spirit world. It's a place where there is no sadness, no loneliness, no fear. And they don't have to miss us because they remain with us even when they are no longer in their physical bodies." 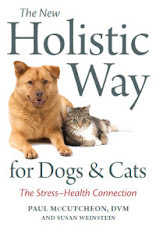 Like Sonya Fitzpatrick, I have been privileged to connect with animals in their "energy bodies," and I can attest that what she speaks of is real and true. 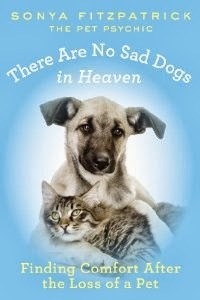 Still, I felt a lot better after I read There Are No Sad Dogs in Heaven, and I think you will, too.